When two cinematic geniuses come together, the outcome is bound to be spellbinding. And that’s exactly what we get with Alita Battle Angel, a stunning spectacle that will leave you asking for more. 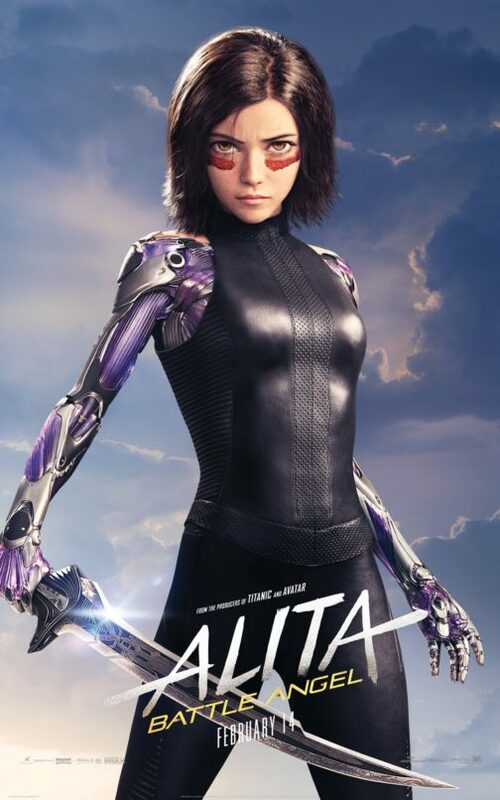 Alita, adapted from Yukito Kishiro’s Japanese cyberpunk manga series, ‘Gnnum’, takes us into a futuristic world set in the 26th century, 300 years after a technological fall leads to war. The last floating city of Zalem remains the only hope for cyborgs and humans for a better life. But an entry to Zalem is a distant dream – just below Zalem is Iron City, where a cybernetics doctor, Dr Ido (Christoph Waltz) finds parts of a cyborg in a garbage heap and uses to them create a new one in his clinic and names her after his daughter. 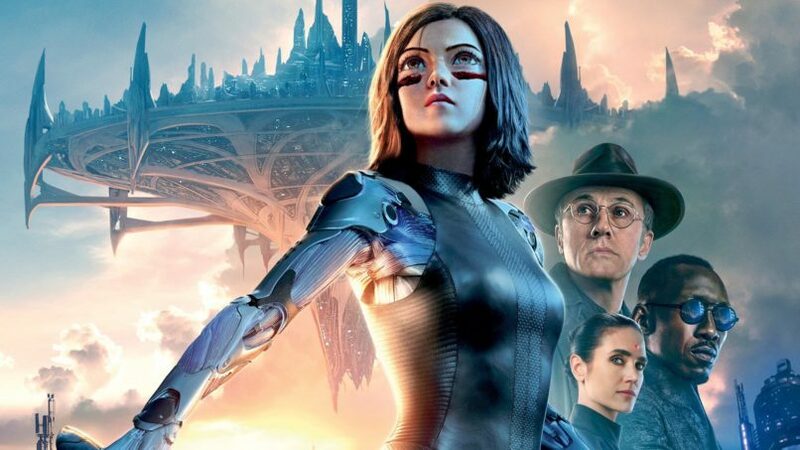 With her new body, Alita (Rosa Salazer) emotes like a regular teenage girl, but can’t recall anything from her past and something tells her there is more to her story than Dr Ido has revealed. To add, Alita realises she has immense power and knows the traditional art of Panzer Kunst, a cyborg martial art, when trying to save Dr Ido from deadly Hunter Killers. The film has been master filmmaker James Cameron’s pet project for almost 20 years now come to form. And just like Avatar transported the viewer into a spectacular, awe-inspiring new world, so does Alita, only on a larger scale. 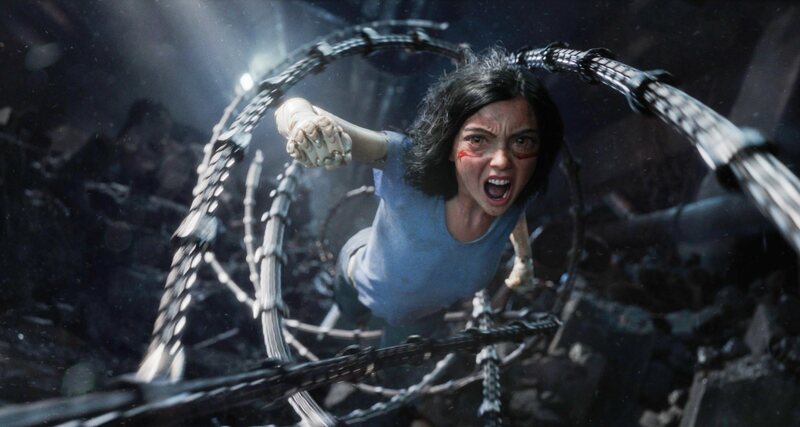 Directed by Robert Rodriguez, who co-directed the adaptation of Frank Miller’s cult film ‘Sin City’, the expectations were high of Alita Battle Angel, and the visual finesse lives up to the hype. Be transported into an absorbing world where cyborgs and humans intermingle, albeit for their own selfish reasons – Alita with her wondrous large eyes and an angelic face but with more might than anyone around her is an instant connect. Then there are more cyborgs like Hunter Killer Zapan (Ed Skrein) and others who with metallic limbs, automated hearts, blades, swords, and iron mechanisms, create a world that is their own. Add to that The Centurions, massive spider-shaped tanks that patrol the city. Hugo (Keean Johnson), a young teenage human befriends Alita, instantly taken in by her magnetic charm, but is hiding a deep secret. Vector (Mahershala Ali), who runs the Motorball Championships, is seemingly the main antagonist here but he has another sinister identity. And Dr Chiren (Jennifer Connelly), who was once married to Dr Ido, is in on Vector’s plan. The marvellously choreographed Motorball Championships and gravity-defying action set pieces will leave you spellbound. The sweeping overhead shots, revealing the dazzling design and lighting of the Motorball arena, are aptly juxtaposed with the bleak yet visually arresting interiors of the rest of Iron City. A romantic sub-plot – the human –cyborg romance blends in wonderfully with the narrative. A compelling performance by Rosa Salazer will keep you hooked. She is well supported by Christoph Waltz and Keean Johnson. Mahershala Ali and Jennifer Connelly, though in relatively shorter roles, perform to the T.
The film’s run-time is close to two and half hours and the narrative with multiple sub plots can start feeling stretched. Go to be entertained, dazzled, and enthralled. And yes, there is very much an indication of a sequel at the end. Cast: Rosa Salazar, Christoph Waltz, Jennifer Connelly, Mahershala Ali, Ed Skrein, Jackie Earle Haley, Keean Johnson, Michelle Rodriguez. 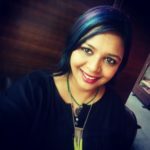 Sengupta has been a director and producer of shows on movies and entertainment for the last 14 years, for some of the biggest media houses, including Zoom and Times Now. She has been reviewing movies for a living for the last two years while working as a freelance writer / editor and content developer.